Check that the Edge State selector is set to In-Service. 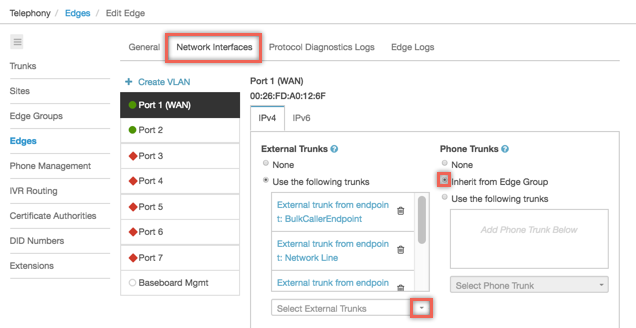 In the External SIP Trunks section, use the Select External SIP Trunk drop-down to choose the wanted trunk if no external trunks are listed. See Create an external trunk if no External Trunks are listed. At the bottom right of the page, click Save Edge.